Thanks to our connection to Skrill, we are able to get our clients upgraded to a higher Skrill VIP status easily. If you are an exiting Skrill customer, you can request to get your Skrill account upgraded to a higher VIP Status using the following form. For this manual Skrill VIP Upgrade, the overall sum of transfers you have made within 30days to any merchant counts. Once you are upgraded, you will stay at the specific VIP status for the rest of the current quarter. 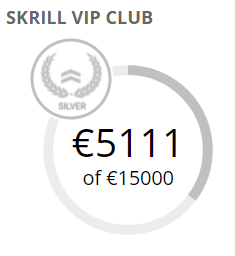 Simply fill in the followin form and we will take care of the Skrill VIP upgrade. Fill the form to get your higher VIP status within 1 business day. Please contact us if there might be any questions about your Skrill VIP account upgrade..